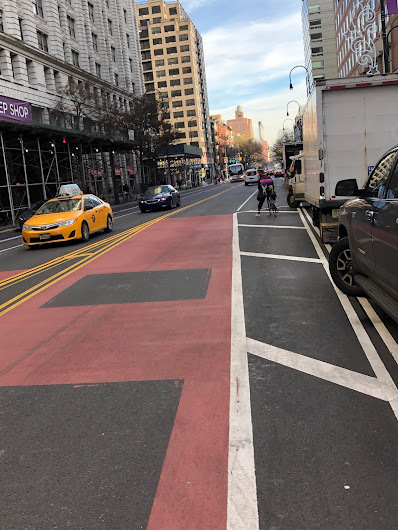 In recent weeks, I've noted how the city continues to prep 14th Street for its expanded role during the 15-month L-train closure next spring, including the markings for the Select Bus Service (SBS) lane between First Avenue and Third Avenue and the arrival of the dedicated bike lanes on 12th Street and 13th Street. 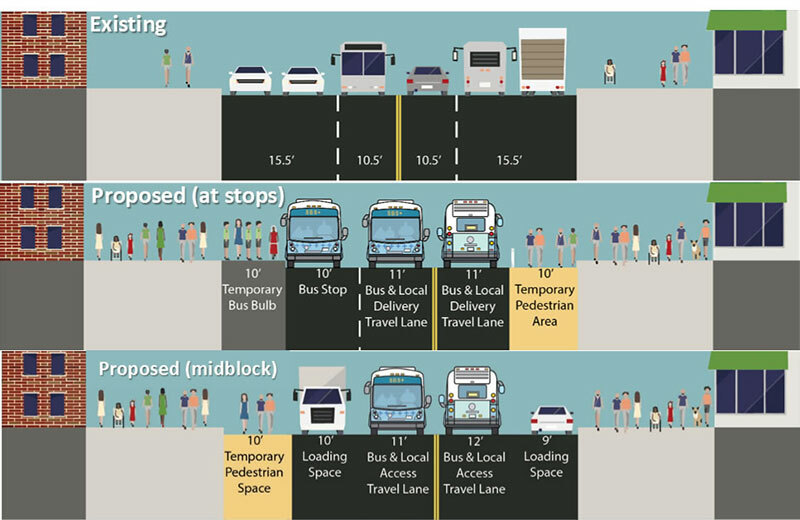 As previously reported, 14th Street will serve as a (mostly) car free busway for displaced subway commuters. 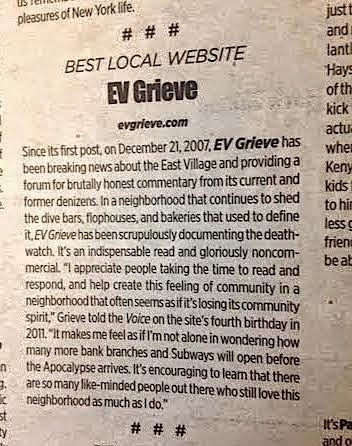 In an article posted Tuesday, Crain's (HT KT!) 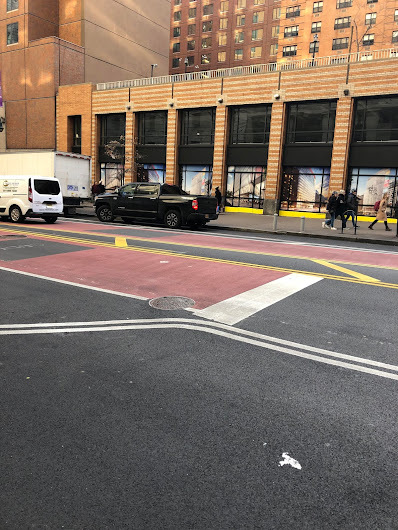 pointed out the latest alteration: red traffic lanes at 14th Street intersections between Third Avenue and Ninth Avenue, "which will signal that motorists must exit." By April, white Bus Only wording will be stenciled in the black boxes to make the message clear. Similar restricted lanes are planned for Delancey Street between the Williamsburg Bridge and the Bowery. Also to come are pedestrian walkways on 14th Street to relieve jammed sidewalks, as well as designated curbside loading zones for businesses. 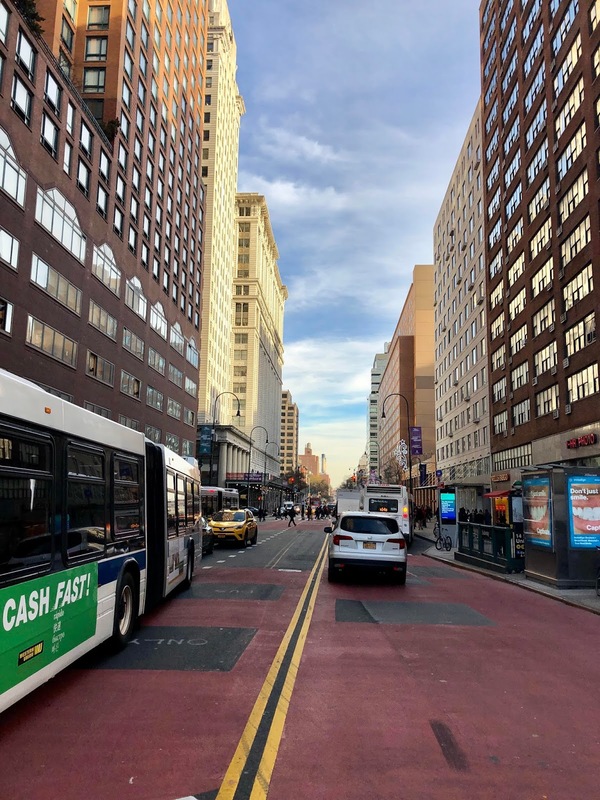 The storm-related repairs to the East River crossing could drive 275,000 daily underground commuters to ground level at 14th Street, where the city plans to direct cars from the thoroughfare and run 80 buses per hour. This SBS service launches on Sunday, April 21. 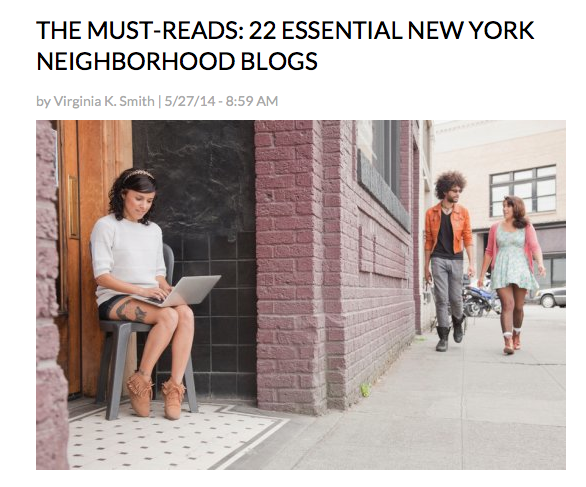 14th Street is an ongoing exercise in insanity, and the less said about that stoopid tech hub, the better. 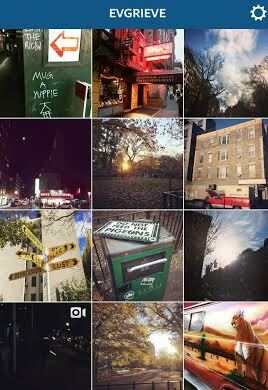 I feel that NYC’s upcoming weed legalization is well timed to see us through the next decade of attempting to traverse this madness. 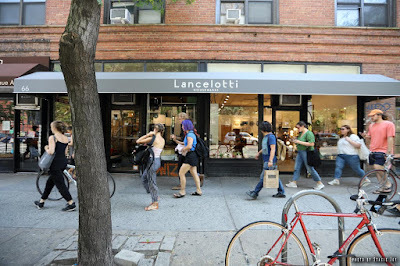 Expect copious dispensaries from Avenue A to 7th. This is going to be the biggest effin' mess ever. I take the 14th St. crosstown bus a couple of times a week, and I can't tell you how many people do NOT know that the MTA has already changed/discontinued certain bus stops; why does the MTA not have a huge program to inform people about this? One example: if you're headed east on 14th St., and want to get off at 5th Avenue, TOO BAD for you, b/c your choices now are either 6th Avenue OR University Place, and nothing in between! This is insanity at the highest (lowest) possible levels. Cuomo and Andy Byford should be condemned to travel ONLY via 14th St. until the L train reopens. Yep, and they've also moved the M14 eastbound bus stop that used to be in front of Whole Foods one block west, as well as shuttering the M7 northbound at 6th Avenue, forcing people who get off a westbound M14 to walk 4 blocks north to 18th St to catch a connecting bus. There was no warning, one day the Bus Stop sign and schedules just - disappeared, and for a couple of weeks people were still waiting for a bus that never came. 14th and 6th has demolition and construction on both the northeast and northwest corners, and one bus driver told me they closed to 14th St. stop for the benefit of the developers, to make it easier for them to park their equipment trucks. Thanks, MTA. Changing the traffic pattern and parking spots are crazy. There seems to be more traffic than before with these changes. Notice more car drag racing along 12th street. Meter maids are having a great time ticketing cars in the area too. 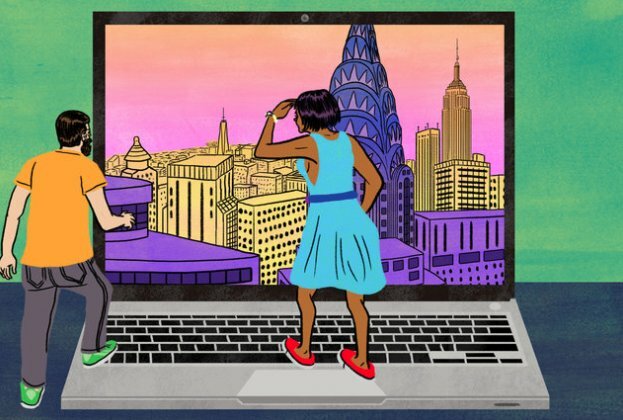 They should not be permitted to begin the "tech hub" (douchey) if it abuts the street until after L Train shutdown.